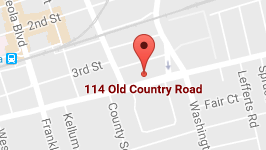 Work with a top DWI defense lawyer and one of the best law firms in Long Island. Our award-winning lawyers are among the most experienced attorneys in New York. Attorney David Mirsky will guide you through the complicated legal process and is prepared to fight the DA and go to trial if necessary. If you have been arrested for suspicion of DWI and you want to fight it in court to prove your innocence or get a reduced sentence, we can help. You can represent yourself and hope for the best, but wouldn’t it be wise to hire a DWI defense attorney who knows the New York legal system and can get you the break you need? A DWI is not just about driving home after a night of too much drinking. A DWI can include operating a boat, flying an airplane, operating farm machinery, driving a horse drawn carriage, riding a bike, walking home, and even more. If the police believe that you are a threat to yourself or the public safety, you could get slapped with an arrest, huge fines, a loss of your livelihood, or worse. Police officers are more likely to pull you over if your lights don’t work, you toss cigarette butts out the window, you have a license plate violation, or you have dark tint film on your car windows. To avoid trouble, make sure that everything on your car is in order so police officers do not pay more attention to you. Once a police officer pulls you over, they could suspect that you have been drinking and driving and ask you to step out of the car for a field sobriety test. Suppose, you went out for a nice evening with your date or friends, had a few drinks, and left the party or restaurant feeling well enough to drive. On your way home or your way to bring your passengers home, you drive through a checkpoint and the officer says you’re above the legal drinking limit. At that moment, how you feel does not matter. What does matter is the reading on the Breathalyzer. It doesn’t matter whether you received a DWI for speeding down the highway, swerving off the side of a dirt road on your bike, or if a cop pulled you over for loud music: if you were “driving while intoxicated” you risk losing everything. The arrest may lead to hefty fines, loss of your driver’s license and possible jail time – unless you hire a Long Island DWI attorney right away! Can You Refuse A Field Sobriety Test In New York? Field sobriety tests are tests given by police officers to determine whether or not further investigation of a suspected driving under the influence charge is warranted. These tests do not actually determine whether or not a person was driving under the influence (DUI), but are instead used to gain probable cause to justify further detention and investigation of a DUI suspect. Scientifically speaking, field sobriety tests are largely unreliable. These tests, which are administered by police officers in the field, often on the side of a busy highway and often under conditions that could be described as “distracting” at best, provide no accurate measurement of the amount of drugs or alcohol in a person’s system. Legal defense professionals generally agree that field sobriety tests should be refused. Since the results of these tests do not provide an accurate measurement of intoxication or the amount of drugs or alcohol in a person’s system, they are essentially pointless. One thing that these tests are good at doing, however, is making DUI suspects look foolish – even sober people have trouble performing many of the field sobriety tests that police use. The only test that can’t be refused during a DUI investigation is a chemical test. A chemical test is one that measures the amount of alcohol in a person’s system by analyzing a sample of the person’s blood, breath or urine. New York has an implied consent law that basically states if you are lawfully arrested by an officer who has probable cause in assuming you are driving while intoxicated, that you will submit to a BAC test of the officer’s choosing. What Are The Different DWI Charges In NY? There are two classifications of driving under the influence annotated in New York law; driving while intoxicated and driving while the ability to drive is impaired. Driving while impaired by alcohol is the operation of a motor vehicle with a blood alcohol content between .05 and .07% or under other physical evidence of impairment. Drivers of commercial vehicles under the age of 21 can be found guilty of driving while ability impaired by alcohol if found to be driving with a blood alcohol content of .02% or higher. Driving while the ability to drive is impaired by a drug and driving while ability is impaired by a combination of drugs and alcohol are both separate offenses for which an accused can also be charged. You already know that driving while intoxicated is a crime. Your judgment, coordination, and ability to drive are reduced when you drink any amount of alcohol. There is no quick way to get sober. You simply have to wait until your body absorbs the alcohol. Driving While Intoxicated (DWI): To be charged, you must register a 0.08 percent or higher blood alcohol content (BAC) level, or there must be other evidence of intoxication. For drivers of commercial vehicles, the legal limit is a 0.04 percent or higher blood alcohol content (BAC) level. Aggravated Driving While Intoxicated (Aggravated DWI): To be charged, you must register a 0.18 percent or higher BAC level. Driving While Ability Impaired by Alcohol (DWAI/Alcohol): To be charged, you must register a BAC level higher than 0.05 percent but below 0.07 percent, or there must be other evidence of intoxication. Driving While Ability Impaired by a Single Drug other than Alcohol (DWAI/Drug) or Driving While Ability Impaired by a Combined Influence of Drugs or Alcohol (DWAI/Combination). Chemical Test Refusal: Refusing to take a chemical DWI test. Zero Tolerance Law: To be charged, a driver under 21 must register a BAC level higher than 0.05 percent but below 0.07 percent. Penalties for a first offense-DWI in New York can include fines from $500 to $1,000, up to one year in jail and three years of probation, a yearly $250 “driver responsibility assessment” fee for three years, and attendance at a victim-impact panel. Along with these penalties, your driver’s license may be revoked for six months; however, in some cases you may be allowed to obtain a conditional driving permit (for driving to and from work, school, and court-ordered obligations). However, if your BAC level measures 0.18 percent or higher – more than double the legal limit – you can be charged with “aggravated” DWI. If convicted, the fine can go up to $2,500, your license can be revoked for a full year, and after a year in jail you could serve an additional three years on probation. If you are facing felony or misdemeanor criminal charges, contact a Nassau County and Suffolk County criminal defense attorney. Our team of lawyers can answer your criminal law questions, help you learn about your charges, and protect your rights during every step of the process. DWI attorneys understand the unreliability of chemical DWI tests and field sobriety tests and can bring this matter up during the trial. A good DWI lawyer has significant experience and fights aggressively on your behalf. Prosecutors are prepared; you need an attorney who is also prepared. A DWI attorney can line up the expert witnesses who can help your case. If the state’s case against you is conclusive, and you are found guilty, a skilled DWI lawyer may still try to help you receive an alternative or reduced sentence. 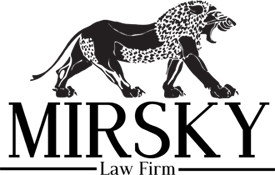 The DWI defense attorneys at the Mirsky Law Firm have years of experience defending those accused of DWI. You need an experienced DWI defense attorney that will tell your story in a way that will show you in a favorable light. We understand what you are going through, and we understand that people make mistakes. We will fight aggressively to clear your good name and restore your life. Call today or fill out the form on this site for a free consultation with an aggressive criminal defense lawyer.